Bill Tupou scores against Hull FC last week. 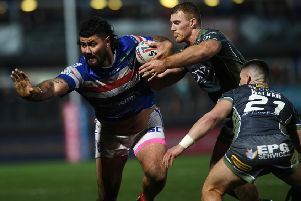 EXPLOSIVE FORM in 2018 secured him a place in the Betfred Super League Dream Team, but Wakefield Trinity centre Bill Tupou says he is aiming to be even better this season. Tupou has been named in a strong Trinity squad for tonight’s final pre-season game at home to Huddersfield Giants and is determined to prove last year wasn’t a flash in the pan. “That’s definitely one thing I’ve focused on this pre-season, staying the same, but doing a bit more,” Tupou admitted. It is not just the opposition pressing Tupou to improve. He added: “We’ve got good centres at the club that I am against at training, like Reece Lyne and Joe Arundel. I am trying to better myself every time I get out there on the training paddock. “They always put pressure on me when we do edge on edge at training. “I think they have been a great part of me, my defending and whatnot. Trinity have also recruited strongly, with former Man of Steel Danny Brough, ex-Wales international prop Craig Kopczak and George King, who played in both major finals last year, expected to be key players for them this year. Tupou added: “As a club we think we are a top-four side. We have put that in our mindset for the last two years and I think we are that one step closer. 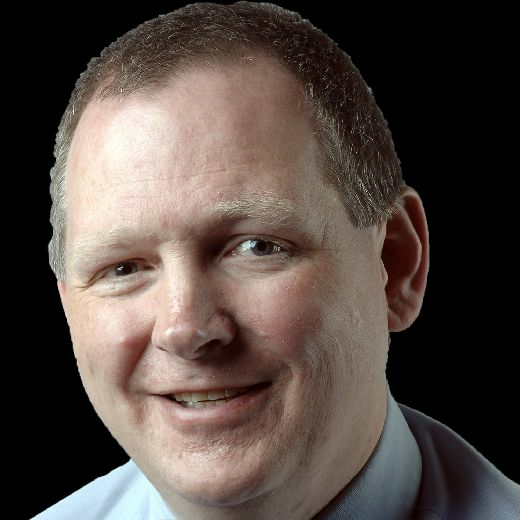 “We just need the one-percenters that could turn a game or win a game for you. All the boys are raring to go. “Last year we beat St Helens over here so we can turn anyone over. Teams know that as well so they don’t come here with a soft mindset thinking they are going to roll over us. Brough, who will face his former club tonight, could add that crucial one per cent, Tupou reckons. “He has got a lot of experience,” he pointed out. “I can tell on the training paddock, from his talk and his leadership, especially to the young players. “He has got a lot of experience behind him and he teaches them. He is passing it down and him and Jacob Miller are good working together as a halves partnership. “I think they are going to keep getting better as the year goes. He is definitely a big buy for us, especially with his kicking game. Trinity will need to be good this year because the competition will be tougher, according to Tupou. Several big-name players have been recruited from the NRL and Tupou said: “For them to come over, when they could have stayed there, is good for the Super League. “I think we are growing as a comp’ and I would say we are around the same level as the NRL. I think NRL players are looking to come over because they like the brand of footy we play, especially with the movement of the ball over here, especially in attack. “I think NRL players are drawn to that. Wakefield Trinity: from Arona, Arundel, Ashurst, Batchelor, Brough, England, Fifita, Hampshire, Hirst, Horo, Johnstone, Jones-Bishop, Jowitt, King, Kirmond, Kopczak, Lyne, Miller, Randell, Reynolds, Tupou, Wood.